Wow is that scary. Months and months go by and I barely pick my head up to look around and see what I’m missing. But we had an awesome summer, with some really fun vacations, and I have been sewing, just not taking pictures of my work or taking any time to reflect on it. 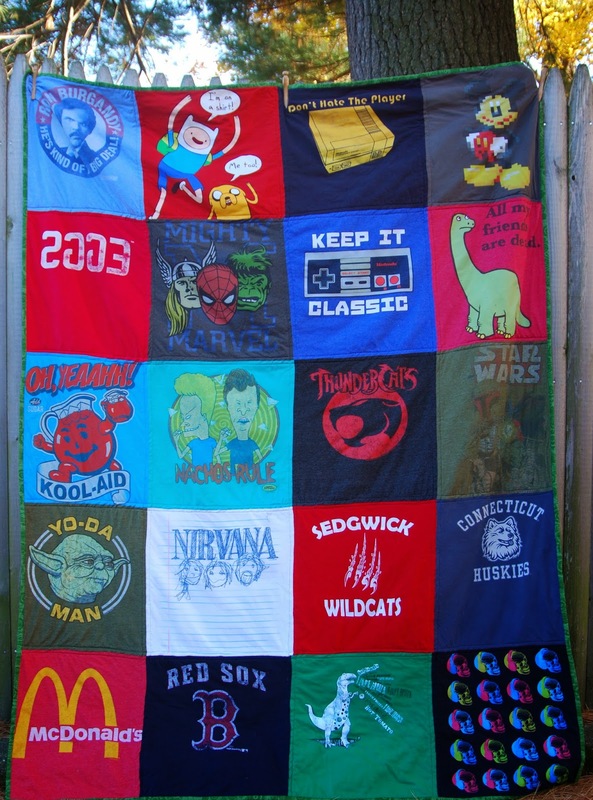 This t-shirt quilt that I made for my son was the second one I made. I made one for a customer earlier this year, and my son loved it so much he immediately made a pile of his old shirts for me to make him one. Like with SO many other projects, I had it all cut out and the top sewn in less than a week. I did it all while we were at the Cape in June. Flash forward to last week and I was just putting the binding on. But look, he loves it, and I’m already working on one for my husband. 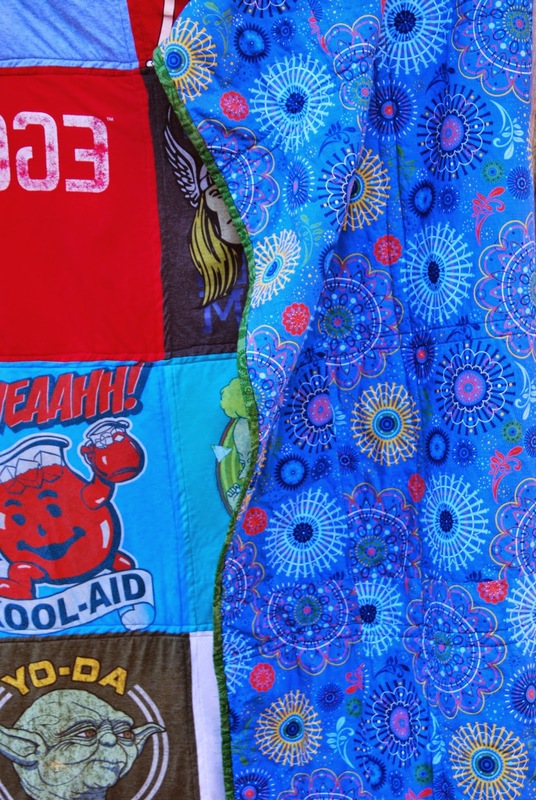 I use Pellon 101 woven fusible interfacing to firm up the t-shirts. It’s time consuming, but the body of the quilt is nicer, and it’s thin enough that it doesn’t take away from the awesomely soft t-shirt feel of the finished product. I’ll probably make one for myself out of my race t-shirts. I never wear them, and I won’t feel so lazy resting under a quilt made of shirts I had to RUN to earn!